Mt Waumbek is the highest point in the Pliny Range, and used to be known as Pliny Major. 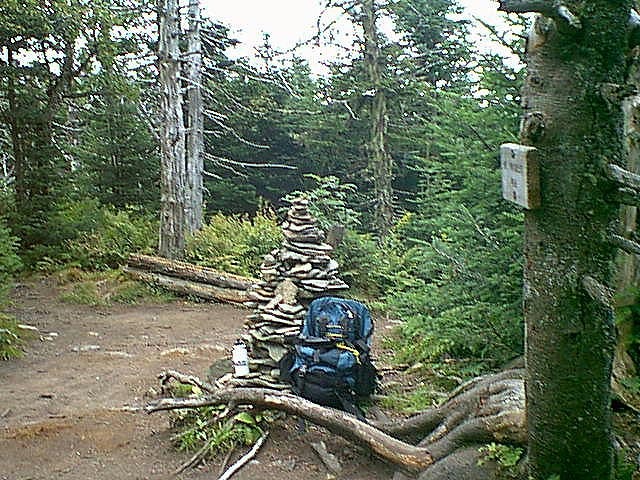 The summit is wooded with the nearest views being on the summit of Mt Starr King. 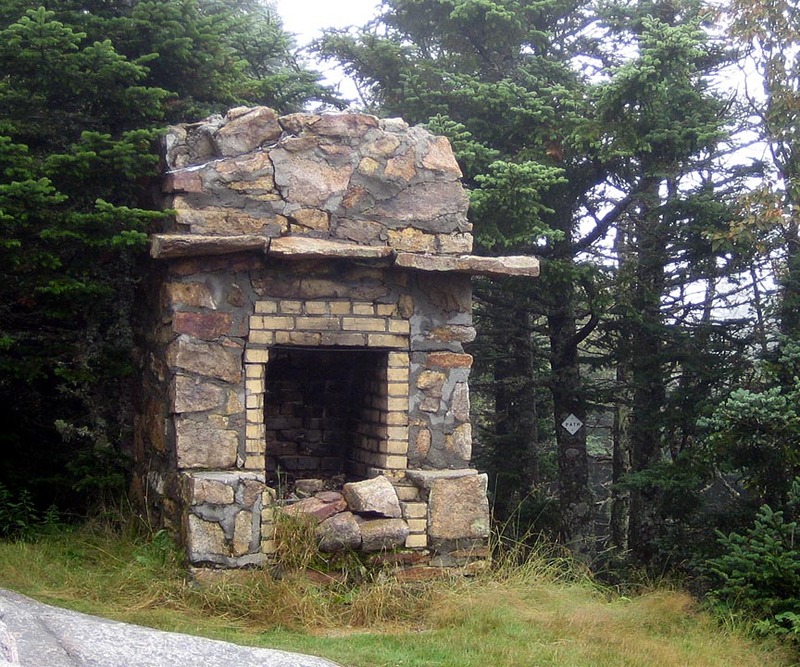 The old shelter was originally built in the 40's, rebuilt in the 60's and finally removed in 1980. All that remains is the fireplace. 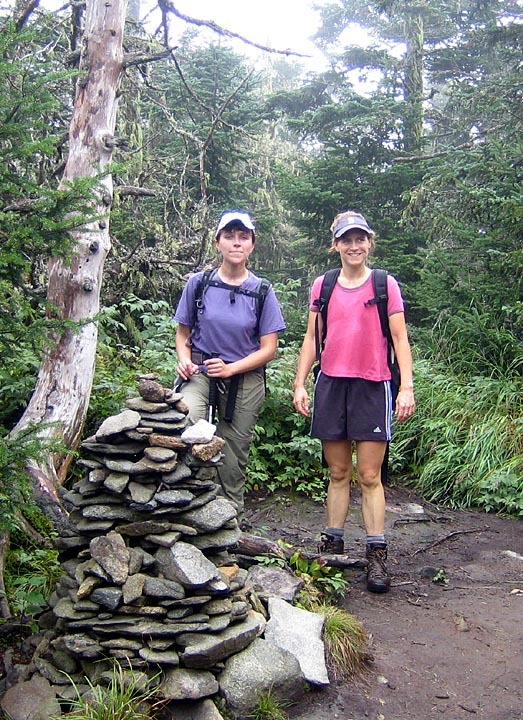 Starr King Trail - This is the most popular and most direct route to Waumbek. 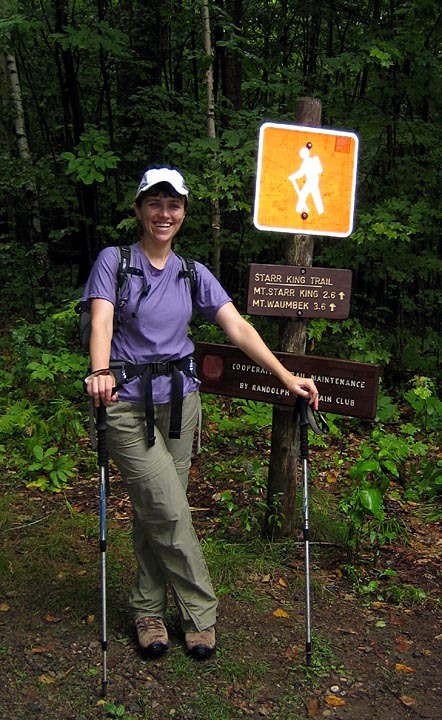 The trail follows old logging roads to start before turning into a relatively gentle climb. 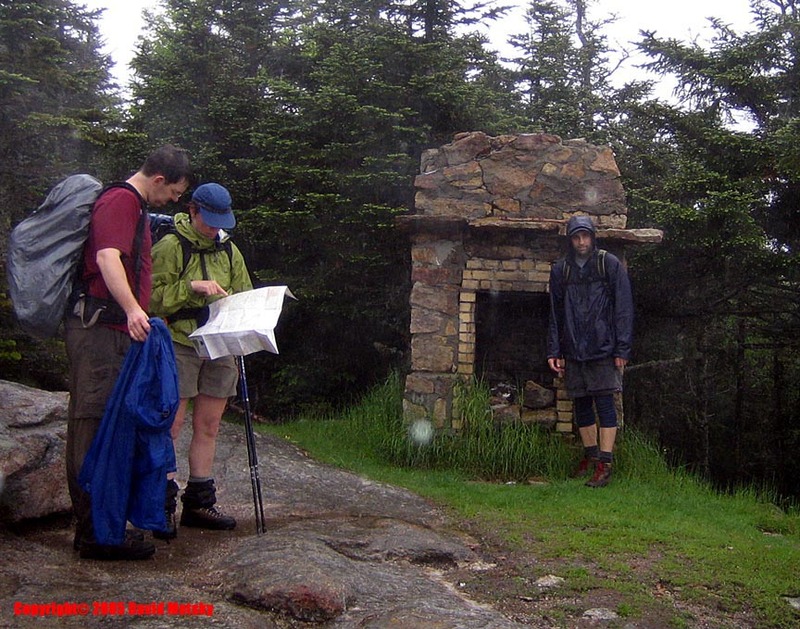 Near the summit of Mt Starr King the trail passes the remains of the old shelter and a few small but nice views. 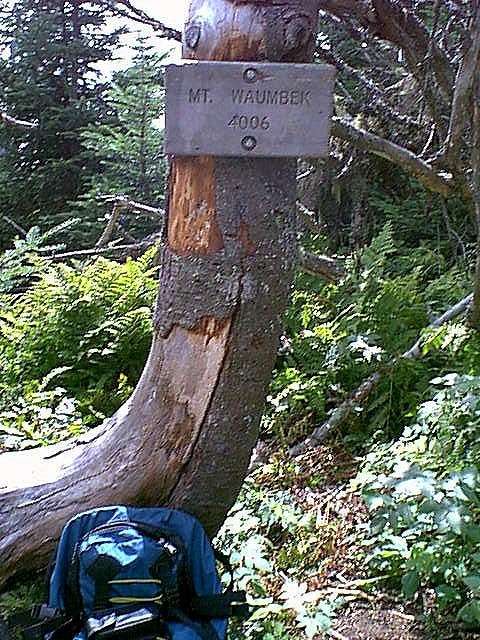 The trail drops then climbs again to the wooded summit of Waumbek. The hike is 3.6 miles each way, with a gain of 2700'. 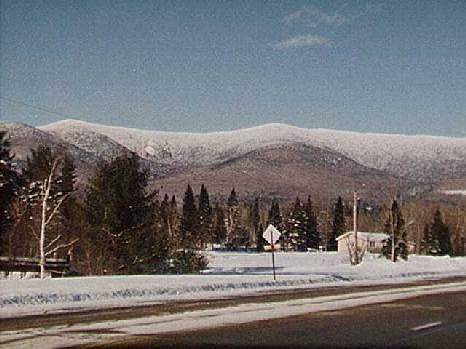 Starr King - This parking area is .2 miles up the small road off Rt 2, 1/4 mile east of the junction with NH Rt 115A. Look for the hiker sign on the main road. A WMNF parking sticker is required. Summit photos by Steve McGilvary.